From blood pressure units to sterilizers, electrocardiographs to exam tables, Acura Medical Systems Inc. is the right choice in medical equipment service and repair for your facility. 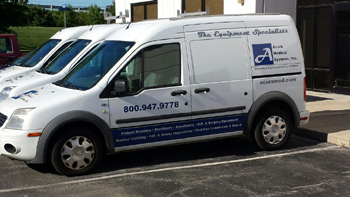 We maintain a large inventory of repair parts, loaners and rental equipment to keep your practice running smoothly. Acura Medical Systems Inc. is renowned for quick response to service problems, providing cost ­conscience, effective, on-­site and in-­shop repairs. We provide comprehensive estimates of your facilities repairs. With the rapid advancement of technology, especially medical electronics, Acura Medical Systems Inc. is concerned that you are spending your money wisely. We provide equipment repair and purchase recommendations to our customers. If a repair is not cost ­effective, we will let you know! It is our goal to provide your facility with the best advice concerning repairs and equipment purchases. Acura Medical Systems Inc. is your personal biomedical repair and consulting partner. We offer unbiased, practical information about your equipment and any new or recommended equipment you might be considering.